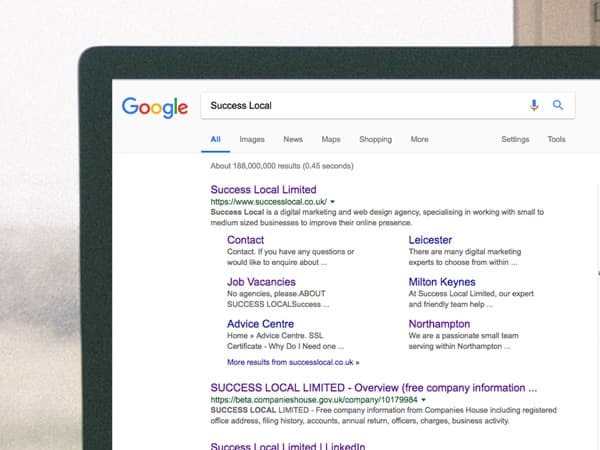 Success Local are a specialist digital marketing agency comprising of a small team of experienced and talented designers and consultants. We have been working with clients in Melton Mowbray for many years and have had great success helping local customers find more business online. With over 50 years of collective experience, we are ready to take your business to the next level. We work a little differently to other agencies. Favoring a more direct and personal approach, we make it our aim to first understand your business’s foundation and requirements. With this knowledge, we can tailor a marketing campaign that works for you. There is no one-size fits all approach to digital marketing, so we’ll first arrange a meeting, either at your premises or in our Lutterworth offices, to better understand your business. We’ll work with you to suggest the best services to help reach your local customers in Melton Mowbray and further afield. The first step to a strong online presence is with a website. 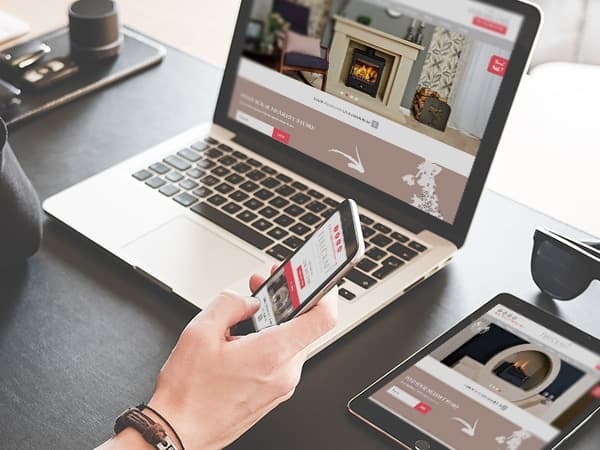 We have a team of dedicated web designers who will work with you to create a homepage design which aims to attract more customers and helps to convert them into sales. We have experience in branding and conversion rate optimisation and are confident that we can produce a design that will appeal to you and your customers. Our websites are completely bespoke, being built from the ground up with your requirements in mind. It’s also important to keep your website regularly up-to-date which is why we offer a monthly maintenance service. We understand that sometimes your time is better spent running your business, so we’ll help lift the burden and continue evolving your website. Along with our web design service, we can host your website, domain and emails. Our UK based hosting platform offers fast performance and minimal disruption, ensuring less people bounce off your website. Both our websites and hosting meet Google’s latest web standards and requirements, helping to provide a good user experience. We offer help and support over the phone and email if you have any questions. We want to take the workload off you and make your experience in maintaining a website as stress free as possible. With an ever evolving advertising platform such as Google, its important that regular work and optimisation is performed on your website to achieve and maintain top positions in search results. With our Search Engine Optimisation (SEO) service, we work on a monthly basis to get you in top positions for your most favorable keywords and targeted areas. With different tiers to fit your budget, you can be ensured a return on your investment in a short period. You will receive a dedicated account manager who will be your point of contact throughout your campaign. They will have a good understanding of your business’s workings and requirements, and will provide monthly contact with you to keep you updated on your campaigns performance. Pay Per Click is an alternative service to SEO that we provide, and suits those looking for a more short term solution or those looking for seasonal business. Whilst the investment tends to be slightly higher than SEO, you have more flexibility over your budget and we will ensure it is spent efficiently and effectively. 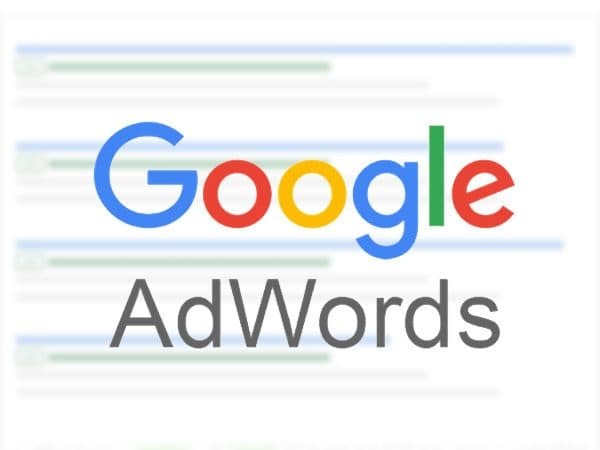 With PPC your site will appear in the ads section of Google and will charge you per each click. Social Media Advertising is the final pillar in our digital marketing services. Advertising on social media can be great for targeting a specific type of demographic. 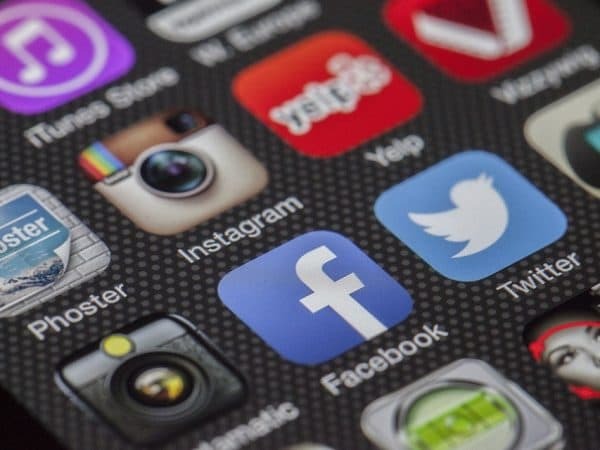 With more and more people exposed to social platforms, we can tailor ads to reach the audience that is most relevant to your business. Every business is different and we want to ensure we have the platforms available to best serve your needs. For further information on web design and digital marketing services, please call us on 01455 367 100 to arrange your free, no-obligation consultation at your Melton Mowbray premises.